Toyota RAV4 Stripes, RAV4 Vinyl Graphics, RAV4 Hood Decals, and Side Door Body Striping Kits. 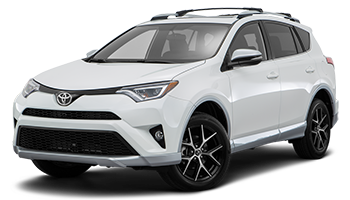 The Toyota RAV4 is a compact crossover SUV (sport utility vehicle) produced by Toyota. This vehicle was designed for consumers wanting a vehicle that had most of the benefits of SUVs, and is also in need of a vinyl graphic and stripe decal design. Below you'll find a variety of Toyota RAV4 vinyl graphics, stripes, and decals for the model years indicated. Featured is the RAVAGE HOOD : 2016-2018 Toyota RAV4 Hood Blackout Vinyl Graphic Stripes Decal Kit, RAVAGE SIDES : 2016-2018 Toyota RAV4 Side Door Accent Vinyl Graphic Stripes Decal Kit, and much more coming in the future! Choose one of these popular vinyl decal styles today!